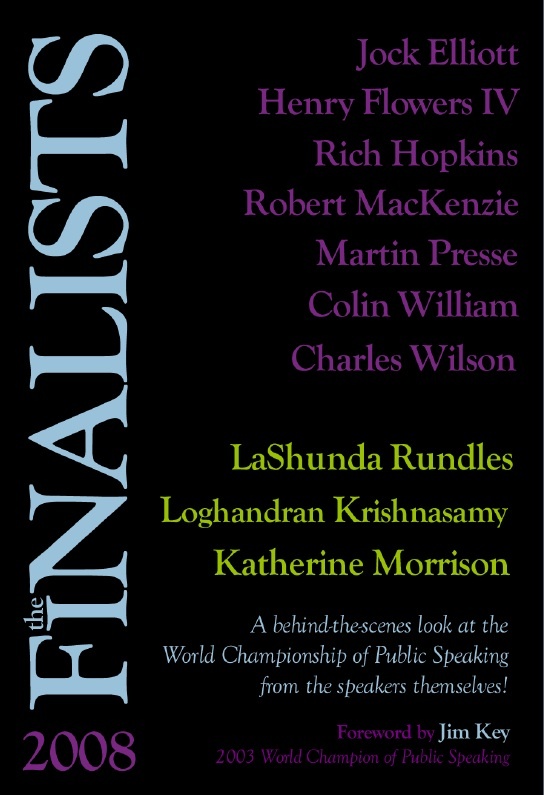 [16:53] 2008 The Finalists e-book (free). A behind-the-scenes look at the World Championship of Public Speaking from the 10 speakers themselves who competed at the International Convention in Calgary, Alberta Canada (District 42). Toastcaster Greg Gazin speaks with Rich Hopkins, one of the finalists and editor of the book for a sneak peak and about what went in to the making of this book. The 66-page book also features a forward by the 2003 World Champion – Jim Key. You can sign up to get a free copy of this book by visiting Rich Hopkins' website.